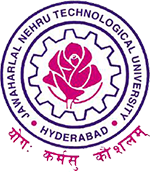 Sub: JNTUH – Exam Branch – Postponement and Rescheduling of M.B.A course University Examination scheduled on 15-09-2016 – due to holiday declared by Government of Telangana on account of Ganesh Immersion – Intimation -Reg. It is here by informed that the M.B.A course Examination to be held on 15-09-2016 is postponed due to holiday declared by Government of Telangana on account of Ganesh Immersion and rescheduled as mentioned below. The answer scripts of the examination on 17-09-2016 shall be sent through speed post to the concerned Additional Controller of Exams, Exam Branch, JNTUH, Kukatpally, Hyderabad-500085 on the same day of examination.